For some people, the cost of buying a luxury convertible car like the Ford Mustang isn’t something that they have to think very hard about.The just open their wallets and get out the gold card! But for us mere mortals, the folks that can just about one, it’s a hell of a big decision to make. That is why we need to know about any hidden costs that might occur, as it could just be the deciding factor in whether we go for the purchase or not. Keep reading to find out more. 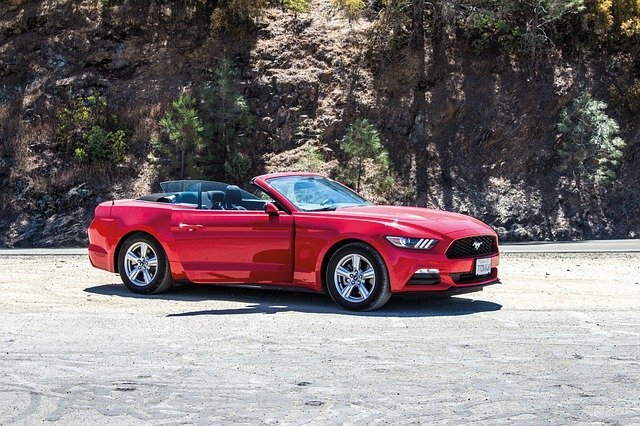 Convertibles are such wonderful cars, and the Mustang with its sleek look and great handling is no exception. You can really get the feeling of speed and intensity when you are driving with the top down. This sort of car is not just a way of getting from A to be B but also a real driving experience that most petrol heads enjoy. But traditionally, convertibles are known as being an expensive way to get around. Especially as there some costs that remain hidden until you dig a little deeper. For examples, the first cost that you need to consider is when you actually buy your convertible like the Ford Mustang is the price of the car itself. Not only do you need to be aware of when the new models are due to hit the showrooms, as this can decrease the price of the one’s issues before. But you also need to be aware of the seasonal change in price. Logically, it makes sense. No one wants to buy a convertible Mustang in the middle of winter when they are not going to get any use out of it. Instead, folks are going to want them at the beginning of summer to take road trip vacations in; and enjoy the good weather. But you can use this to your advantage if you are in the market for this sort of vehicle. As if you play the waiting game, you will be able to buy one at a reduced cost, instead of an inflated price. That is you have the foresight and patience of course. Another way that it is possible to save on your convertible purchase is to expand your search location to try and grab a bargain on this type of car. You may just get lucky and find a bargain that little bit further away than you would have like. Luckily, firms like Shiply have covered carriers that are perfect for transport convertibles over a long distance without risking their interior or paint work. Now, something else that might put you off investing in a car like the powerful and fast Mustang convertible is the cleaning and maintenance costs involved. Unlike traditional cars that are largely protected from the elements, convertible are vulnerable to have their interiors damaged at any time. It could be that you get caught in a rainstorm before you get the chance to get the top up. Or that someone decides to be a smart guy and throw their milkshake cup, that isn’t quite empty into your passenger seat! Things like this can cost a fortune to fix, and if they happen regularly enough can seriously affect your enjoyment in owning the car.